Up until 2014, Steve Borden AKA Sting was considered to be the greatest wrestler never to step in a WWE ring or WWE period. Slowly but surely that all finally came to an end Spring 2015 when he made his debut against Triple H at Wrestlemania of all places to attempt to make a mark. It merely all started when WCW closed it’s last edition of WCW Monday Nitro for the last time thus ending the Atlanta based company after 11+ years of being independent of the National Wrestling Alliance. As the next day began, uncertainty also started as well. People were uncertain who was WWE were to acquire after the buyout. Unfortunately for them, Sting wasn’t one of them due to the layered details in their Time Warner Contracts. 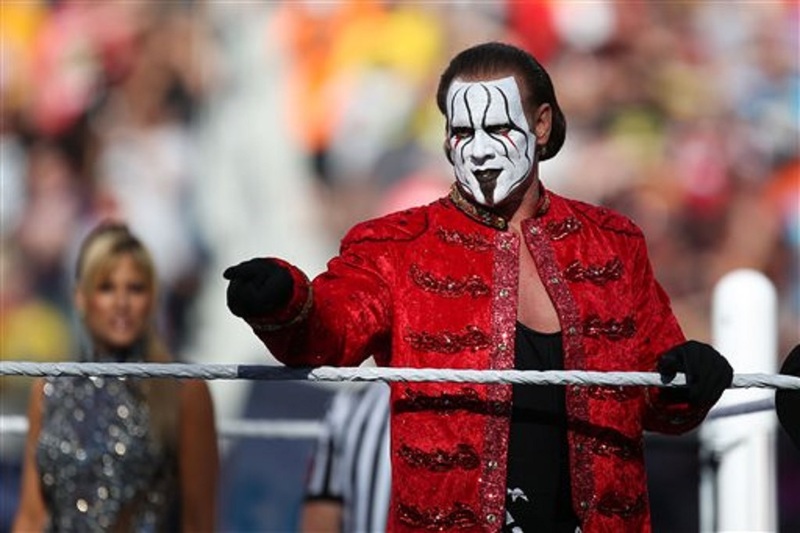 In many interviews that followed, Sting didn’t have any desire to join the machine known as WWE for reasons known & unknown such as television content, further exploiting the former rival company for what it was on WWE TV whether it was losses, degradation of character or even burial. Instead he joined an upcoming NWA affiliated company back then known as TNA. From there he was again like in 1991, NWA World Heavyweight Champion again and TNA World Champion many times over as somewhat WWE fails to recognize or the fact that he wrestled for another company that wasn’t either of the two “Monday Night War” enemies, which is beyond me as well as another famous future wrestling hall of famer saying the same thing. Who did Sting beat to become #1 Contender to the belt. NO ONE, Because he lost at Wrestlemania to Triple H and stupidity of over creative booking. But you know what beat every other wrestler in the locker room of being in that “spot?” M&M: Money & Marketing. The child aspect of me cheered and cheered until I realized, “What happens if Sting actually won? And what would that do for his character, let alone the aspect of wrestling & sports entertainment?” Also, how would he be booked as champion and how would he lost it while retaining character integrity, dignity and stature?